Rugged, designed for gloved hand use and with exceptionally loud audio, Entel’s HT commercial grade portable radios are specifically designed to withstand the everyday rigours of the outdoor workplace. 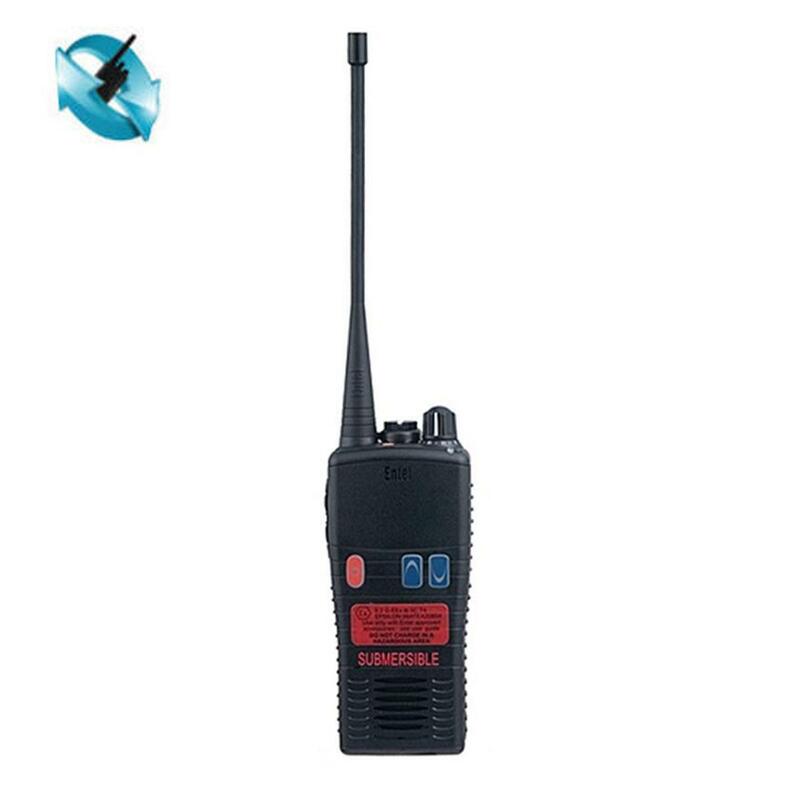 With over 20-Years’ experience exceeding the demands of our customers, Entel offers the most complete and established range of commercial grade portable radios available. From entry to advance including MPT1327 and Selcall. We also have an extensive range of Intrinsically Safe models (ATEX IIA, IIC & IECEx). Using the latest compander noise reduction technology Entel’s HT portables deliver loud & crisp audio no matter what environment you are in. Extended Talk Time – The 2000mAh capacity of Entel’s Lithium-Ion batteries is up-to double that of other makes, therefore ensuring maximum talk-time. Li-Ion Chemistry – Entel’s Li-Ion batteries are not prone to the dreaded memory effect that Ni-Cad and Ni-MH battery packs suffer from. This ensures you always have a good charge every time you take the battery from its charger. Conforming to IP68 standard, the HT Series 2.0 offers the highest submergibility rating of any manufacturer. This unique Series protects against corrosion, withstanding total immersion in water to a depth of 2 metres for 4 hours to protect against the likely hazards encountered in any field of operation. Exceeding MIL-STD 810C/D/E/F rating, the HT Series 2.0 is designed to withstand shock, vibration, dust and moisture, ensuring a tough enduring performance and many years of trouble free use, even in the most hostile environments. ATEX Approved IIC - The HT900 range of ATEX certified portables meet IIC T4 - the most stringent ATEX ratings as per EU directive 94/9/EC. ATEX Approved IIA - For those users not restricted to the IIC 1 watt regulatory classification, the HT800 range of ATEX certified portables meet IIA T4 with a full 4 watts of transmitter power. IECEx Approval - The HT500 range of intrinsically safe certified portables are suitable for those users who do not need to comply with the European ATEX standard. MPT1327 – Trunked (MPT1327) radios offer the most flexibility and are designed for larger systems.